Helping students understand the importance of text features and their benefits is important. Text features provide information, clues and other information that can give you a complete picture. One of my favorite learning strategies is to teach students to SURVEY. Surveying by looking at the text features will get your mind ready to better understand the reading. 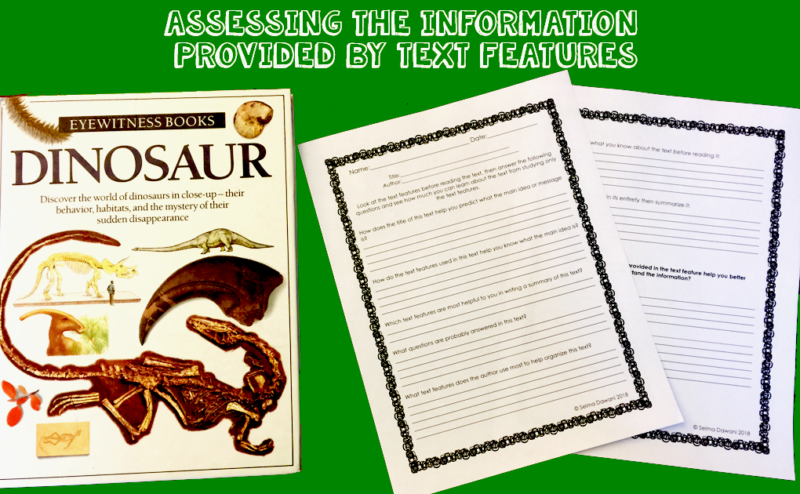 In this blog post, I want to help you help your students see the importance of text features. Text feature questions are common on assessments so I hope this blog post helps you teach it. This question requires the use of higher order thinking skills, in this case, blooms analysis. Usually, students will answer in a way that will not earn them any points because their answer is vague. We need to teach the students that text features contain new and different information. That in their answer they will make a connection between the text and features. They must explain how the information in the graph, chart, map, timeline, figure, photo, or diagram helped them better understand the information that wasn’t explicitly stated in the article. Text features are important and it is pertinent that students see them for all their glory. They are not there to make the page look pretty. Text features provide data to help the reader understand the text and take their understanding to the next level. A great activity you can do is to provide a page from a nonfiction text with all of the text blocked out. This will force the reader to focus on the information provided. I actually like to make a habit for students to SURVEY the entire article paying attention to text features first to prep their minds for the reading. But when you are caught with students reading that gloss over text features this activity is a great way for them to stop and focus on these gems found throughout nonfiction books and articles. I have provided you a freebie that will allow your students to go through all of the stages they need to make automatic to help them answer text feature questions. 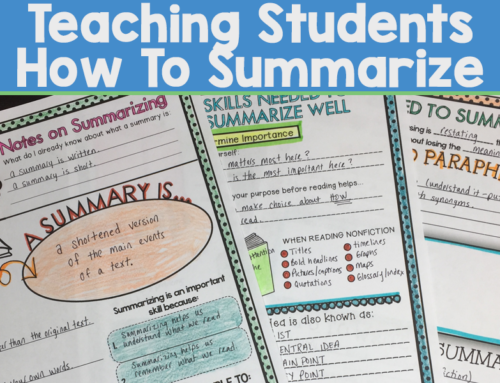 This resource can be used with ANY nonfiction text.